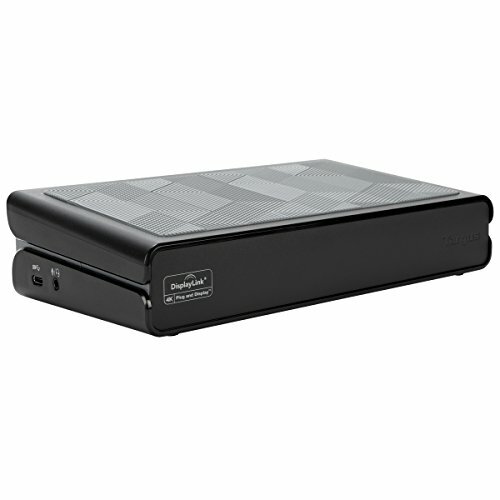 The only USB 3.0 dual 4K video docking station to deliver integrated power and charging for most 19V DC laptops up to 90W, this solution can keep your laptop, as well as your productivity, humming all day long. The docking station is designed to support multiple host platforms and brands for a broad range of compatibility of peripherals and devices. With five USB 3.0 ports (including one that’s high-powered for charging devices and one that’s Type-C), plus an Audio In/Out port for speakers, mics, or earphones, it’s easy to customize your workstation. Charging tips are included for compatibility with most major laptop brands, and they’re all neatly stored within a removable compartment in the dock. Its compact size makes it perfect for tight spaces and its wedge design supports “zero desk space“ applications while enabling more cooling air for the host. Includes detachable 3.3 foot USB 3.0 µB to A host cable and detachable 3.3 foot DC host power and charging cable.